Sharon Steen dons her tennis shoes and, with two fellow seniors, walks streets that in her youth were a vibrant center of Portland, Oregon’s African-American community. Wasn’t this the corner where an NAACP march began in 1963? Look, the record store is now a fancy high-rise. “What we find when we walk, all of us, is that there are a lot of things we haven’t had to remember, and that we can’t remember. And then as we walk and talk, the memories pop up and it’s reassuring that they’re still there,” Steen said. “A lot of our wisdom and stories about what community means comes from our elders,” said Raina Croff, an assistant neurology professor at Oregon Health & Science University. She leads the SHARP study — it stands for Sharing History through Active Reminiscence and Photo-Imagery. 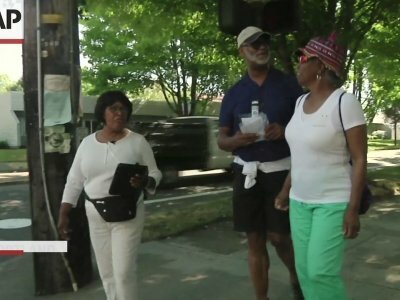 Three times a week, 21 seniors gather in groups of three and reminisce during mile-long walks through streets once filled with black-owned homes and businesses, areas that in the last 20 years have become majority white. Along the way, “memory markers” — signs or historic photos — prompt “do you remember” conversations about people, events or long-gone landmarks, conversations recorded both for the study and for an oral archive. One particularly striking study suggests highly stressful experiences — the death of a child, abuse or severe illness, being fired or divorced — can age the brain before its time. University of Wisconsin-Madison researchers tested cognitive functions that decline with age in still healthy volunteers in their 50s and 60s. Each particularly traumatic event over a lifetime added the equivalent of 1½ years of age-related decline — even more, four years, for African-Americans, who experienced disproportionately more stressors. Associated Press writer Gillian Flaccus in Portland, Oregon, contributed to this story.